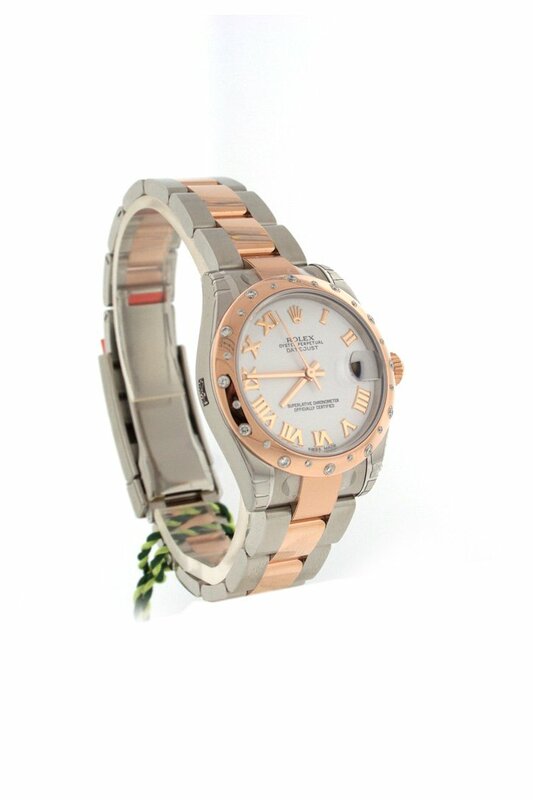 Stainess steel and 18k pink gold case with a stainless-steel and 18k pink gold oyster bracelet. 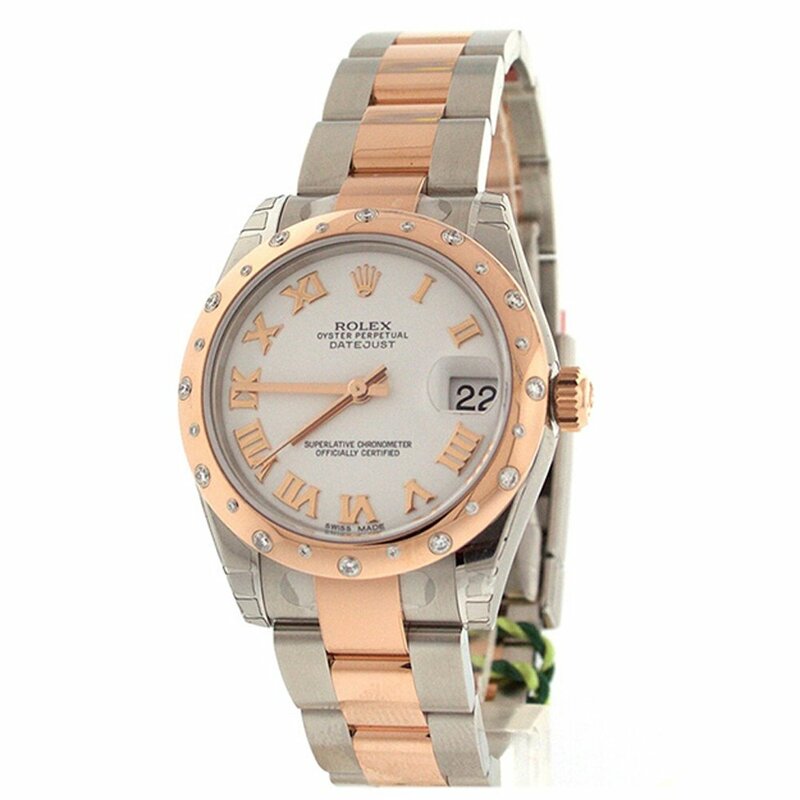 Fixed – 18k pink gold bezel set with diamonds. 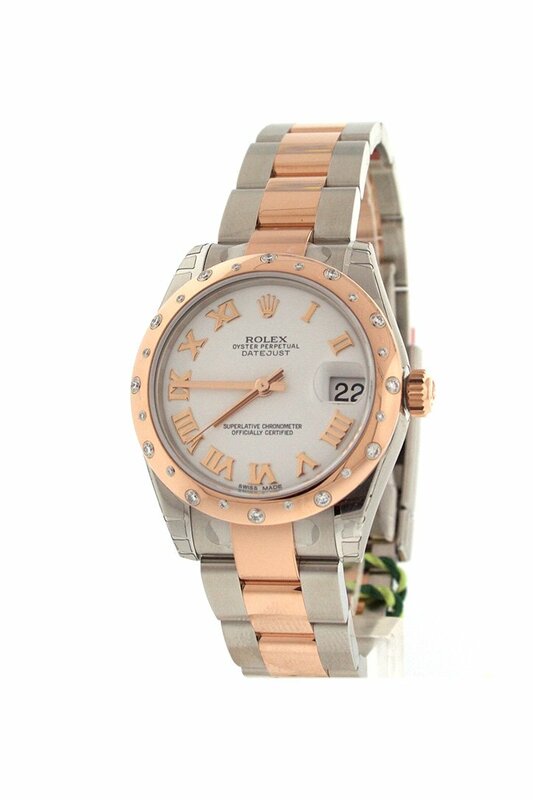 Mother of pearl dial with rose gold-tone hands and Roman numeral hour markers. Dial Kind: Analog. Date display on the 3 o’clock position. Automatic movement. Scratch resistant sapphire crystal. Screw down crown. Solid case back. Case diameter: 31 mm. Round case shape. Oysterlock clasp. Waterproof at 100 meters / 330 feet. Functions: date, hour, minute, second. Luxury watch style. Watch label: Swiss Made. 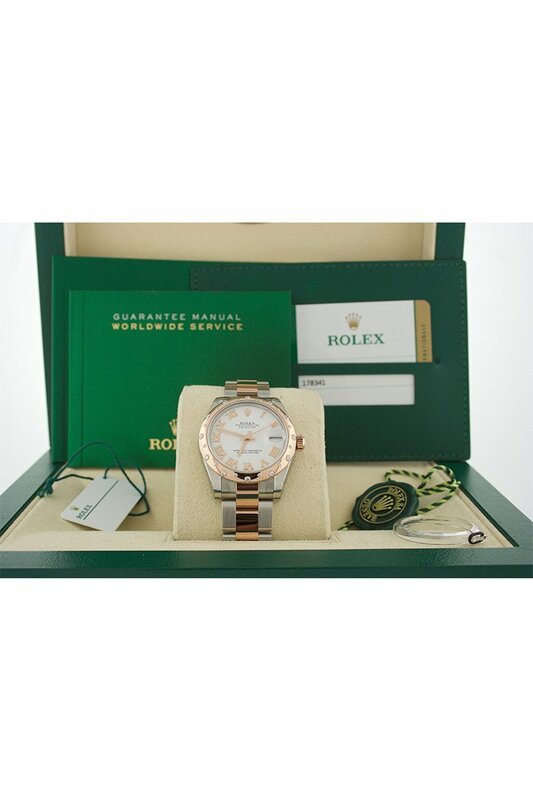 Rolex Datejust Mother of Pearl Dial Steel and 18K Pink Gold Diamond Women Automatic Watch. NEW – UNWORN 2017 with all of the factory stickers. WatchGuyNYC Is A Top-End Luxury Watch Store positioned In New York Town.